Boil 4 cups water in a pot on the stove Add the loose tea or tea bags. Stir well. Allow tea to steep for at least 5-6 minutes while you add the other ingredients. Grate the ginger into the tea . Stir well. Add the sugar , starting with 1/4 cup. Stir to dissolve. Taste-test for sweetness, adding more sugar (1-2 Tbsp. at a time) until your desired sweetness level is reached. 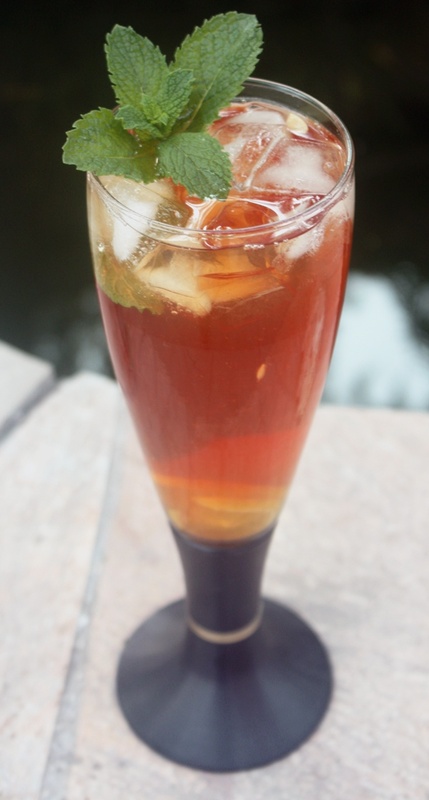 This entry was posted in Drinks, Summer Cocktails and tagged easy drink, ice tea, Summer drink, tea drink by Kamakshi. Bookmark the permalink.